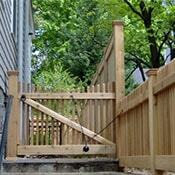 Hercules Fence takes pride in the wide range of options we offer for residential fencing. 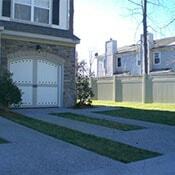 Select from chain link or custom wood fences as well as ornamental aluminum or steel fences. If you prefer galvanized and vinyl-coated chain link options or the durability of PVC vinyl fencing, Hercules has just what you need. Our experienced professional team can even design and install your automated home gate system. Take advantage of more than fifty-five years of fencing experience and contact Hercules Fence today. We look forward to hearing from you and meeting your fencing needs. At Hercules Fence, we pride ourselves in our extensive styles and options of wood fence. Wood fencing provides a natural and rustic look to complement your home. Our sales team can offer you many selections to choose from to accommodate your privacy, semi-privacy, and decorative needs. 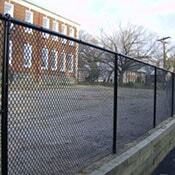 At Hercules Fence, we put safety and environmental awareness first. All of our lumber meets and/or exceeds industry standards, as well as conforms to the latest EPA requirements. Whether you prefer the rich, untreated look of cedar, or the durable, pressure-treated ACQ lumber, Hercules Fence can accommodate all of your wood fencing needs. 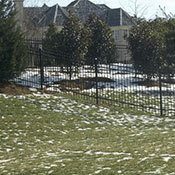 This product represents the current generation of classic “wrought iron” fence. Our steel products are coated with an electrostatically applied powder coating to create a durable and long lasting finish that will outperform a painted product. Our manufacturers offer extended warranties from 12-15 years. Steel ornamental comes in an abundance of styles. Hercules can also provide custom welded panels if you have a unique design in mind. Standard colors are black, white, bronze and dark green. Hercules Fence is proud to be one of the top dealers in the country for Aluminum Fence. Our aluminum fences looks great with any style home and complements beautiful landscaping while not limiting a picturesque view. Aluminum withstands the elements better than welded steel or wood. Its unique powder coating process ensures that your aluminum fence will look great for many years, in fact, it comes with a limited lifetime warranty. Aluminum is available in many different grades and styles with 5/8″, 3/4″ and 1″ pickets. Standard colors are black, white, bronze and hunter green. Vinyl fencing has become very popular because of its clean appearance and long product life with minimal maintenance. Classic picket styles offer the “All-American” look in a state of the art product. Privacy fences mimic the look of wood, however there will be no warping, expansion, or contraction succumbing to the elements of weather. PVC fences are produced through a co-extrusion process to promote rigidity and strength. UV inhibitors are added to help maintain an attractive appearance for many years. PVC fences won’t warp, rot or splinter. You will find our Hercules PVC product to be tough and durable, without comprising any aesthetic appeal. 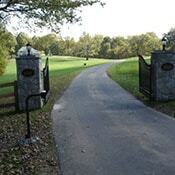 Hercules Fence has the ability to provide convenient gate operator systems for all purposes. Our gate operator system experts can recommend the appropriate system for your needs. At Hercules, we analyze the opening size, style of fence and gate, distance from the dwelling(s), road surface material, entry mechanism, exit mechanism and safety concerns before recommending the right gate and operator for the intended purpose. Automated gate operators can work on most style gates. Entry can be via transmitters, pushbutton, touchpad, touchpad with intercom, dedicated phone line connection or swipe card. Safety is provided by metal detection loops, photo eyes and/or metal detecting gate edges. The operator mechanism can be hydraulic or mechanical chain-drive. You can even have your cell phone ring every time someone enters your driveway! Please call a Hercules trained professional to learn more about gate operator systems. This product is becoming very popular because it offers the security of chain-link fence together with the attractiveness of a vinyl coated finish. Standard colors are black and green, although unique colors are available with a fee for set-up on the coating line. Vinyl-coated fencing comes with a polyvinyl coating or a polyester coating – with polyester forming a baked-on finish that is scratch resistant. Vinyl wire is available in a choice of extruded vinyl, glued and bonded or thermally-fused bonding, with thermal fusion being the most expensive. Vinyl coating is especially beneficial for jobs adjacent to water. This is the workhorse of the fence industry and is available in multiple grades and strengths. Residential grade typically features 11 gauge fabric and 17 gauge tubing posts. 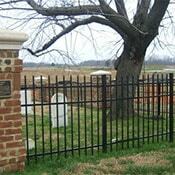 Hercules Fence offers structural steel gate hinge posts for long lasting performance. In addition, we manufacture our residential gates so special sizes are no problem. © 2019 Hercules Fence Washington DC. All rights reserved. Hercules Fence is considered the best fencing company in Silver Spring, Montgomery County, Frederick County, Potomac, Bethesda, Gaithersburg, Chevy Chase, Rockville, and Washington DC.